Hanover has appointed Jim Baxter as a new associate director in its healthcare division, where he will focus on market access and brand communications. 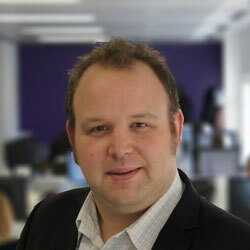 Baxter joins the agency from Tonic Life Communications, where he led UK and pan-European communications strategies. Previously he spent five years in-house with Schering-Plough and MSD, working on brand communications across immunology, CVD, respiratory, virology and addiction portfolios. Commenting on his appointment, Baxter said: “Increasingly, there is a need for consultancies to provide tailored communications solutions that address regulatory, reimbursement and brand awareness challenges in a joined up and holistic manner. Hanover aims to use Baxter's experience in strategic brand communications, advocacy engagement and issue management to expand its UK and pan-European market access and brand communications business. “In the UK and across Europe clients are searching for coherent brand value propositions that connect with both prescribers and payers alike, and are looking for agencies that can deliver integrated communications programmes to match,” said Andrew Harrison, director of healthcare, Hanover. “Jim's hire is a direct response to brand clients asking for more integrated services from policy-led engagement with payers and advocates through to traditional PR and communications.